Nine persons including two women have been attacked with acid by an individual in a heated dispute between two parties. The incident has taken place at Omarahena in Kamburupitiya, according to the police media spokesperson. 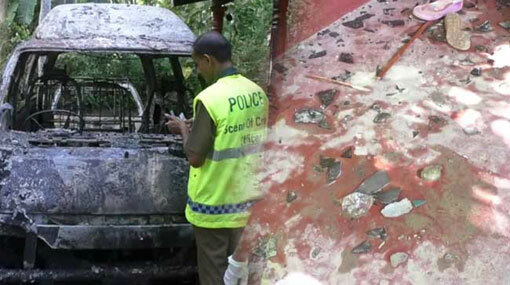 The house of the victims, as well as a van belonging to them, have been set ablaze in the incident. The injured persons were admitted to Akuressa and Andapana hospitals, the police said. The residents of the area have doused the fire and Kamdurupitiya Police is conducting further investigations on the incident.